Sustainable development is an essential part of our business. We are not only talking about it – we put sustainability into action. We believe that we can make a contribution to the environmental, social and economic challenges of our time. We aim to follow and promote good sustainability practice, and to reduce the environmental impacts of our activities. 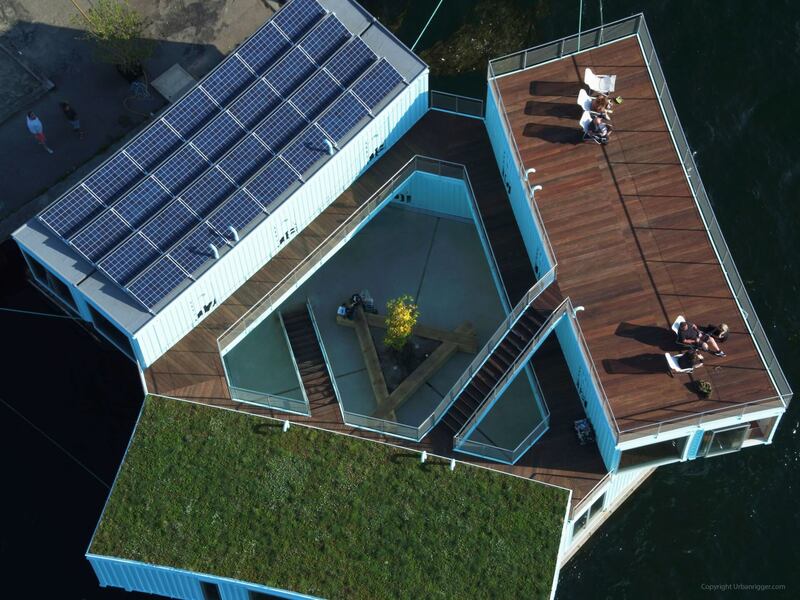 We utilize upcycled containers to create floating student residences. The container is probably the most optimized infrastructure on the planet. The container system is a uniform system that is used in every continent. Containers are accessible everywhere. The problem arises when the container reaches the end of its working life. Depending on the global steel prices, containers are either melted down or abandoned because they are too expensive to freight. If a container is melted down it will have consumed 8.5 megawatts in its life cycle. So instead of recycling, we are upcycling. In other words, we are continuing the container’s life cycle in a different way. It costs as little as 450 kilowatts and it does away with the approximately 1,100 tonnes of CO2 required to build a new, traditional home. By revitalizing these old structures we help to maintain a low environmental impact of our URBAN RIGGERs. You can read more about the upcycling process on our Upcycling site. We want to do our best to preserve our natural capital. The material lifecycle perspective is considered in all our constructions, inside as well as outside. Healthy materials are chosen to create a good indoor climate. Our partners and their technologies are playing a key role in generating heating and cooling systems, while ensuring internal climate comfort and keeping the energy use to a minimum. You can read more about these different sustainable solutions on our Hydro Source Heating site, our Low Energy Pumps site or on our Solar Power site. Instead of using traditional, bulky insulation materials we are using aerogel, which was developed for space travel, and Aluthermo reflective insulation, which is a kind of insulation consisting of thin aluminium foil made from recycled aluminium derived from i.e. beer and soda cans, among other things. Meet and learn more about our partners on our Global Partners site. 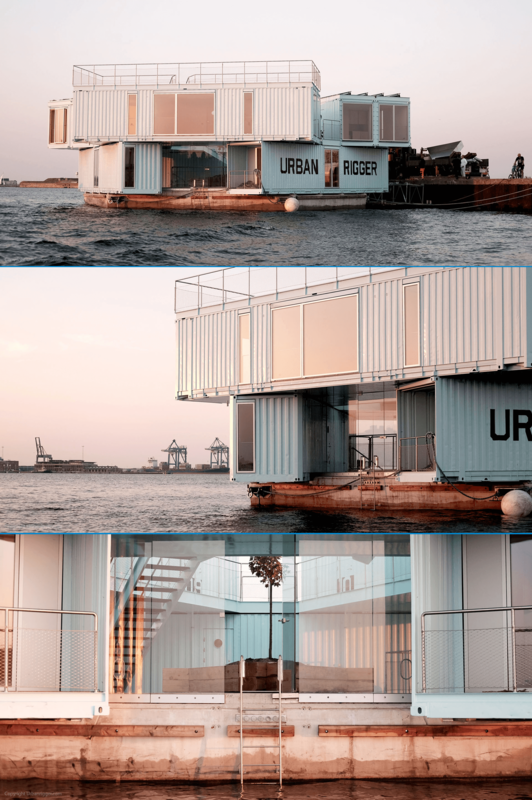 The URBAN RIGGER project is primarily developed as a solution to the student housing issues, and works as student residences. Young people who want to make something of themselves, who have clear ideas about the planet and the future, and who want to live close to their friends and their place of education. To learn more please visit our Endless Possibilities site.